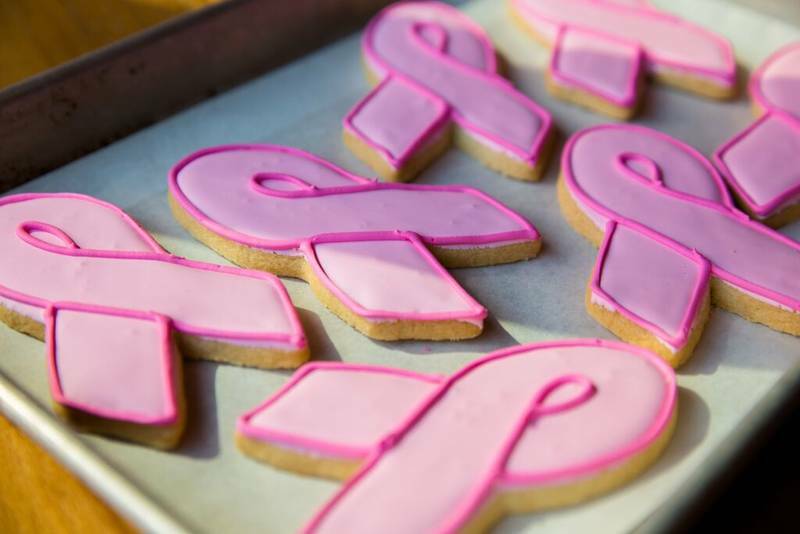 October marks National Breast Cancer Awareness Month, wherein organizations such as the Lynn Sage Foundation’s “In Good Taste” campaign, the Susan G. Komen Foundation, and Bright Pink step into the spotlight to help raise funds to combat the disease. Restaurants in Chicago are pulling out all the stops for the occasion, featuring a bevy of dining and drinking specials all month long. As part of the In Good Taste campaign, numerous restaurants, bakeries, and bars are donating proceeds from select items to the Lynn Sage Foundation. To whet your charitable appetite, these items include pink ribbon sugar cookies from Beatrix, red velvet bundt cake from River Roast, Old Fashioned cocktails from Hub 51, red velvet French toast from Kanela Breakfast Club, and French 75s from Paris Club Bistro & Bar. Adamus: Drink pink this month at Adamus, where a special pink-tinged cocktail is on hand for Breast Cancer Awareness Month. Throughout October, $1 from every Diva cocktail will go to the Susan G. Komen foundation. The Hampton Social: Save room for dessert, because red velvet gelato comes with altruism this month at The Hampton Social. During October, the River North restaurant is donating $1 from every red velvet gelato sold to the Lynn Sage Foundation. Labriola: Cake goes pink at Labriola Ristorante this month. Purchase a pink coconut cake at some point in October and the restaurant and bakery will donate $1 to the Lynn Sage Foundation. Toni Patisserie: In other sweet news, Toni Patisserie is making raspberry macarons with a pink frosted breast cancer ribbon. This month, 50% of proceeds from these macarons will go towards the Lynn Sage Foundation. 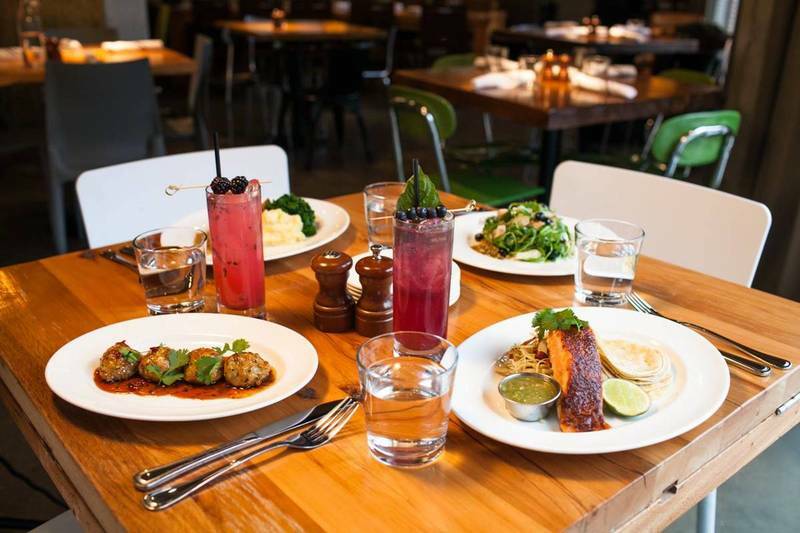 State and Lake Chicago Tavern: Along with other incentives throughout theWit Hotel, the ground floor restaurant at this chic Loop hotel is donating 10% of proceeds from all craft can sales to the Lynn Sage Foundation this month. All cans will also come in a commemorative State and Lake Chicago Tavern pink koozie. One Off Hospitality: This year, all the restaurants and bars under the One Off Hospitality umbrella will donate money to The Lynn Sage Foundation. Each spot is donating one dollar from the sale of a select menu item. These include the avec Ginger Daiquiri at avec, limeade flavored agua fresca at Big Star, Blackbird Rosé La Vielle Ferme Rosé at Blackbird, a mezcal cocktail made with Cocchi Rosa, Besk, and strawberry at Dove's Luncheonette, all brunch and lunch cocktails at Nico Osteria, a flight of rosé at The Publican, jalapeno cheddar bratwurst sandwiches at Publican Quality Meats, and The Violet Hour Old Fashioned at The Violet Hour. An obsession with customized ice, no cell phones and low-key sounds is this stylish speakeasy's claim to fame. Also its dedication to a well-crafted cocktail, whether classic or contemporary. Fresh local farm ingredients feature at this Lakeview spot, which opens for breakfast daily and dinner on weekends. Chicagoland's esteemed Labriola empire expands to the city with a Magnificent Mile location that serves as casual cafe and bakery as well as full-service restaurant and bar.